Q: Why does it take so long to get a test-drive? A: Because the car you’ve chosen is not easy to get to. If you saw a car online and dropped in to see it in person, the car might not be on the main dealer lot. There is a finite amount of space at a car dealership. Cars are often parked like sardines to fit the entire inventory and many will be on satellite or “overflow” lots, which could be miles away. Or the vehicle you are wanting to test drive may be on another test-drive or in demo with dealership personnel. If you’ve chosen one of these cars, the salesperson has to locate the vehicle, then the key, get to the car and move the ones that are blocking it or get the vehicle returned to the lot. And when the vehicle is found or arrives at the dealership, the battery may be dead or the car may be so dirty that he gives it a quick wash to ensure it makes a good first impression. Do you want to test-drive that nice car you saw in the showroom? Even more complicated: The dealership is going to have to open up the doors and move other cars that are in the way. Here’s what to do to avoid all that: Call ahead and make an appointment for a test-drive. If you don’t want to talk numbers yet, let the salesperson know that you’re still in the research phase and aren’t ready to buy. When you arrive for the test-drive, the car will be out front waiting for you. You’ve cut the wait time to zero. If you’re considering a showroom model, ask if there is a comparably equipped car that might be more accessible. Q: Why can’t they give me the best price upfront? A: It goes against one of the big rules of negotiating. If the salesperson did give you his best price, one of two things would happen: You would take that price to another dealer and ask them to beat it, or you wouldn’t trust the first price and you’d ask for something even lower. Now, there’s nothing inherently wrong with comparing quotes or with healthy skepticism, but you can see why the dealer is hesitant to show all his cards at once. It may be useful for you to use the non-confrontational approach to get a great car price. Call the sales manager at three dealerships. 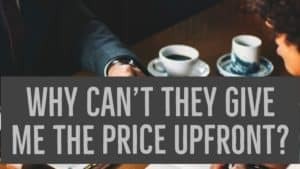 Rather than asking each for his “best price,” use the term “asking price.” You’ll get three quotes, and you’ll easily see which is giving you the best price. Q: What happens when the sales guy goes to talk to the manager, and why is he gone so long? A: Most salespeople just aren’t authorized to make deal decisions, such as determining a trade-in value or discounting the price of a car on their own. They usually have to take a trip over to the sales manager (a process that’s known as “visiting the tower”). The sales manager may be working out terms for other deals at the same time as yours. And if you’re shopping during peak hours, those deal discussions are stacking up!. Even if you are the only customer in the dealership, there is still no guarantee you’ll be able to get a deal offer in a flash. Trade-in values vary by vehicle. The “book value” you see online as a consumer does not mean your vehicle is actually worth that amount of money. The dealership takes in value factors on your vehicle such as, condition of tires, damage to any of the exterior or interior of your vehicle, vehicle warning lights (such as check engine lights may require further inspection for further repairs once the vehicle is traded-in), if you smoke in your vehicle this may drastically affect your vehicles value. Dealerships also use current auction market values and also consult with dealer wholesalers whose sole job is to purchase vehicles from one dealer and transfer them to another. Wholesalers are often used by dealerships if your trade-in is a slow-moving vehicle in their market or perhaps could be something unique to another market. If the dealership is reputable they do all of this research and investigation to provide you with the best price on your trade and protect the dealership from trading in a vehicle that priced wrong for the next customer interested in purchasing your trade-in. Also, if you’re taking out a loan, the sales manager might have to run your credit to get your credit score. He’ll call the finance department to get your interest rate, and then look up specials and incentives on your car to make sure you’re getting the right program offer for the right car. Sometimes it just takes a while to get all the information together. 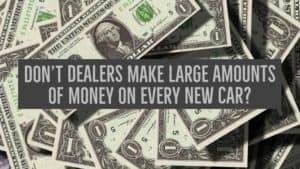 Q: Don’t dealers make large amounts of money on every new car? A: Maybe in days past, but certainly not now. Some new cars, like the Chevy Sonic, Dodge Dart, and Ford Fiesta, Jeep Cherokee may have less than $500 profit for the dealership when they are sold at full sticker price. And most shoppers don’t pay full sticker. These days, car dealerships make the majority of their income in the service department, on used-car sales and in the finance and insurance office. Q: What is the F&I office, and why do I have to go there? A: Think of the employees of a nice restaurant: You have waiters, bartenders, and chefs and all do their own special job. And for the most part, they do that job only. Many dealerships use this same technique. They delegate different parts of the car deal to different parts of the team who specialize in these areas. Most dealerships are firm believers in this kind of specialization. One group of people (sales) demonstrates the car. Another group (sales managers) works out the sales price, trade-in values and calculate payments. A third group ties up the loose ends of a deal and does the final legal contracts, the government required paperwork and ensures the dealership consumer compliance. That’s the F&I department. These people have the task of making sure all the appropriate legal and deal documents are signed and sent to the right place, like the DMV or the bank. F&I employees are also the people dealerships usually use to get loans approved. On top of that, these employees serve as an “auditor” to ensure the information that the salesperson collected is accurate. You don’t want your name misspelled on your car’s title. F&I people also sell extra products for your car, like extended warranties and paint protection. Some dealerships have the salesperson do all the paperwork from start to finish. But the vast majority of dealerships across the United States have F&I departments. If you’re buying a car from a dealership, the F&I office will likely be the last step of the deal before you’re handed the keys to your new car. 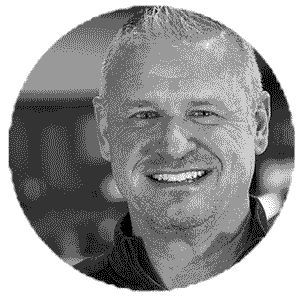 I’ve been in the automotive industry for more than 18 years and have managed and owned car dealerships in General Motors, Ford Motor Company and Chrysler, Dodge, Jeep, and RAM franchised brands. In the automotive industry, I’ve had titles such as new and used car salesman, sales manager, internet sales manager and finance and insurance (F&I) manager.